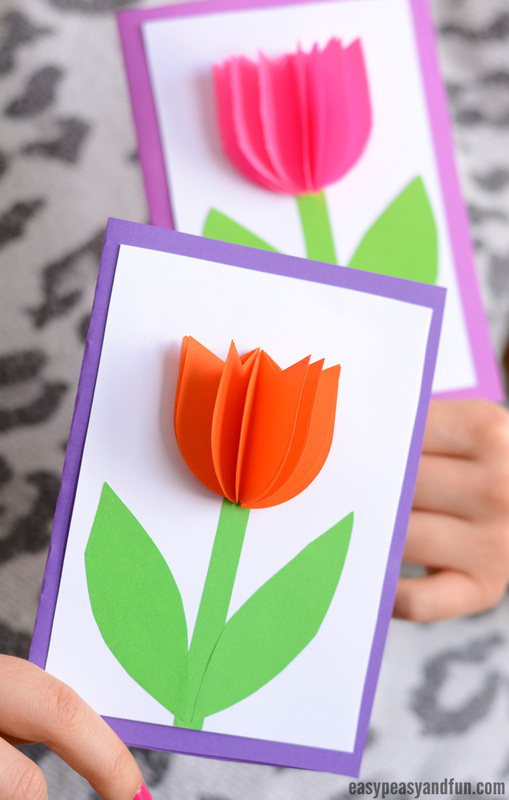 Welcome spring or celebrate Mother’s day by making this adorable 3D paper tulip card. Such a lovely little flower and super fitting for spring. 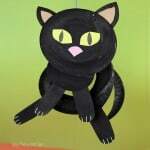 You will have a bunch of these ready in no time and will want to just keep on making them. 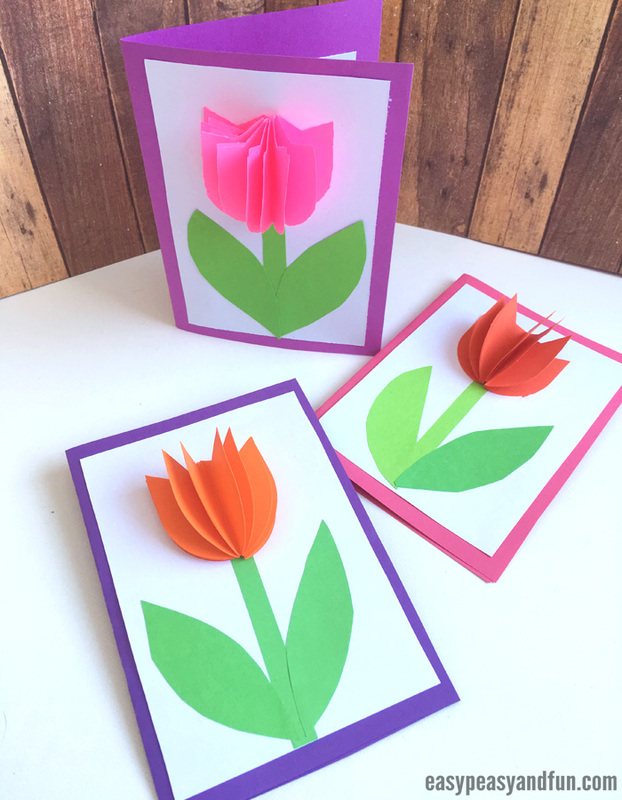 We’ve got a handy little template ready for you for this tulip card which you can either print on colored paper and use straight away or you can print it on white paper and use as a stencil. 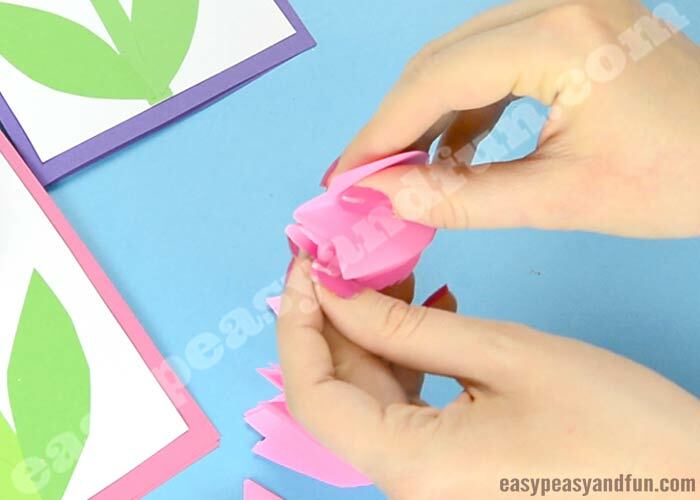 This is a wonderful craft activity idea for Mother’s day – just print the template on colored paper and have the kids make their own Mother’s day cards. 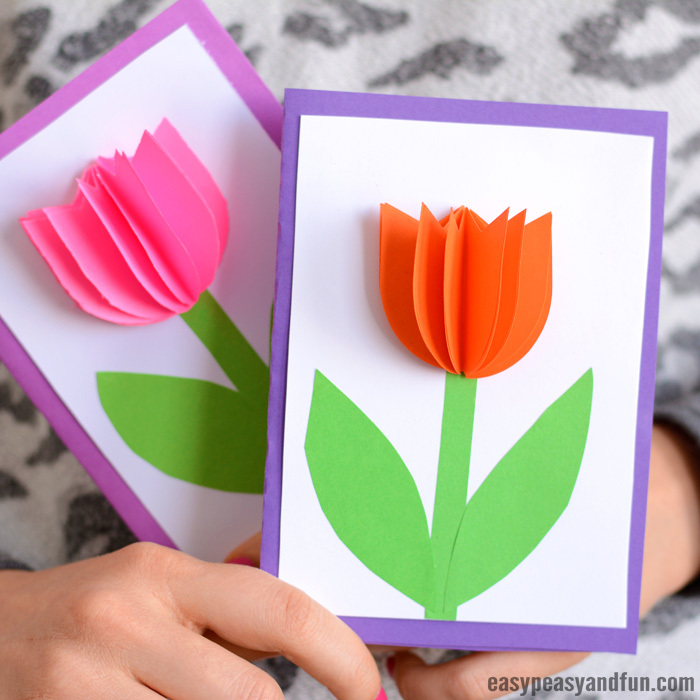 As a spinoff of this idea, you can even make larger tulips (or have your class make them) and you can use them on your spring bulletin board. 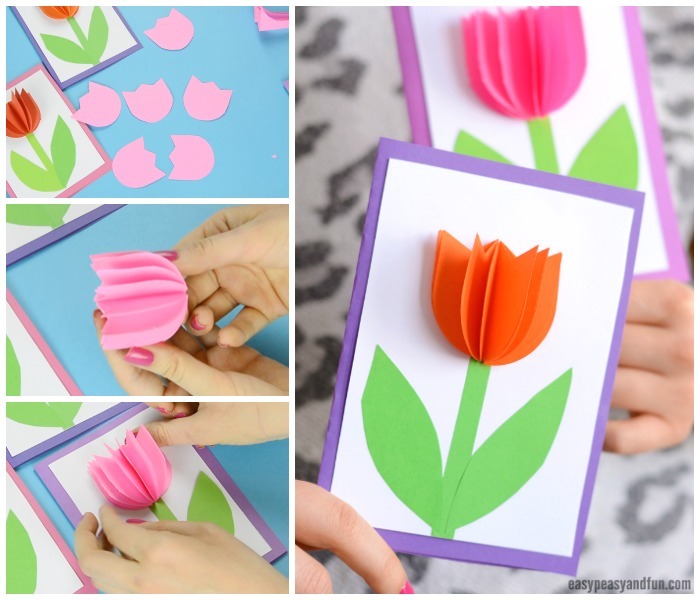 Tulips really are a beautiful flower and one of our favorite flower crafts to make. 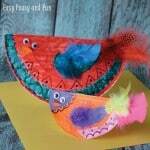 You can make these in all the colors of the rainbow – and beyond and we are sure each and every one of them will look amazing. 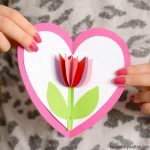 If you are looking for a bit of a wow factor, you could also make this tulip in a heart card (one of our favorite ideas for Mother’s day). 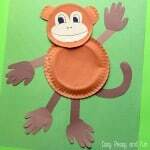 We make ours by cutting a colorful sheet of letter or A4 sized cardstock or construction paper in half. Each half then gets folded in half. Crease the fold to make it super sharp. Cut a piece of white paper, a rectangle that is a bit smaller than the card. 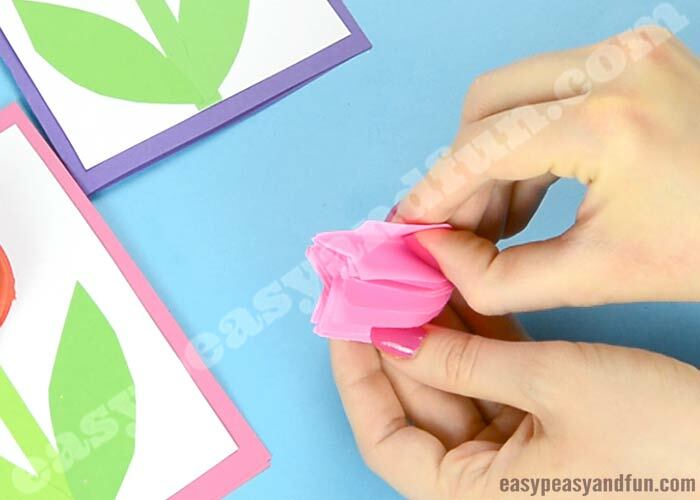 Glue the white rectangle on the card – this will give you card an even better look. We will be using our tulip flower template as a stencil, you can also print it directly on color paper (quicker and easier). 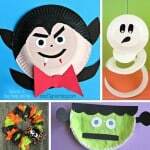 This all depends on what you want your kids to do – if tracing the shape is benefitial using it as stencil is a good choice. 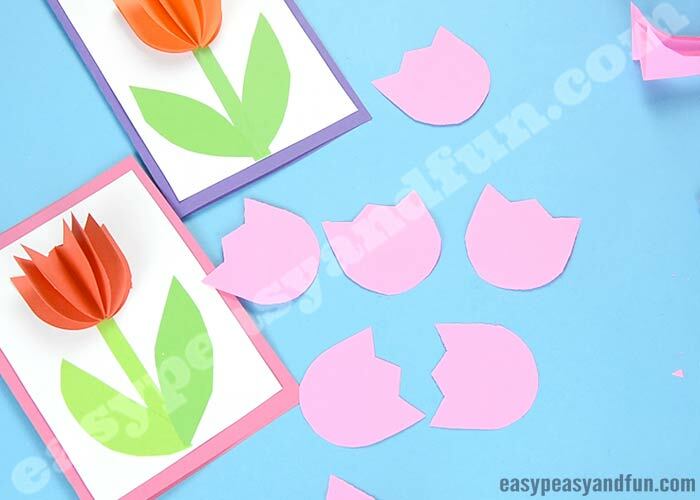 You can also skip the template and have the kids cut their own tulip flowers. If using as stencil – trace around the flower (multiple times). You will need a nice amount of flowers – the more you make the fuller the tulip will be. 6-10 is a great number. 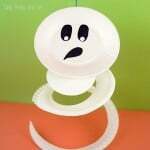 Younger kids can use less, while older kids can go a bit crazy with the number and see what they like best. You will need to fold all of the flowers in half. You can fold them all in one go, by holding all of them together and aligning them. Glue the flowers together, one on top of the other. Cut a strip of green paper and glue it on your card base. 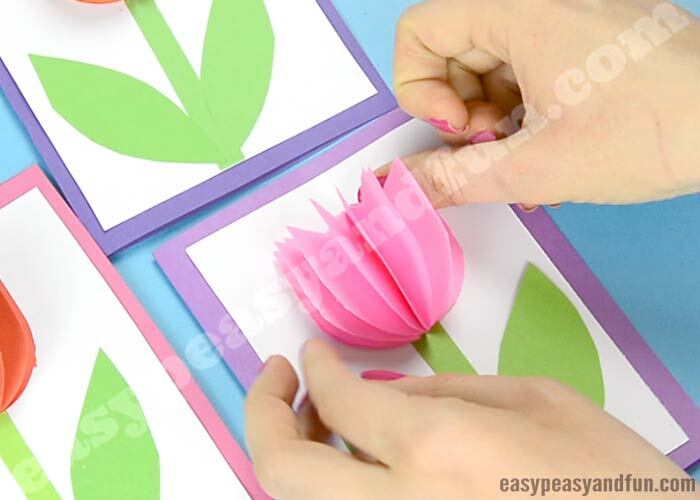 Cut two tulip leaves out of green paper and glue them on the card base too. …and stick it onto your card.